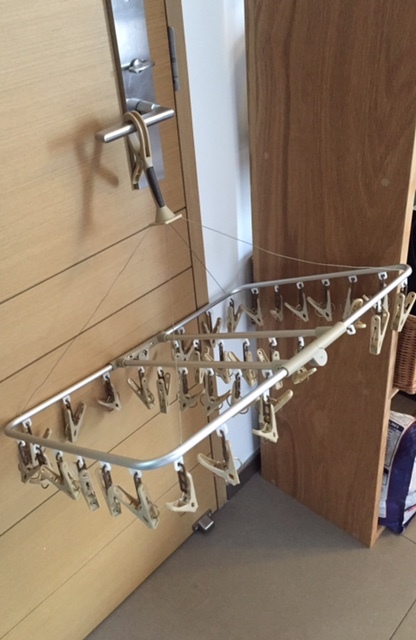 Not every item needs to be foldable, but after living here for so long there truly are some things we feel do need that added space saving advantage. 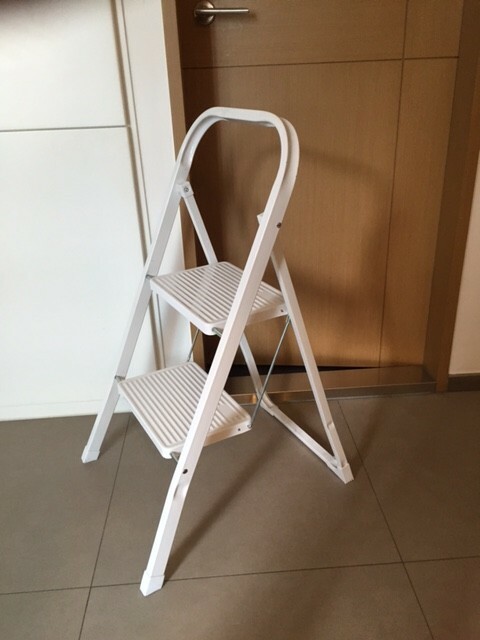 Many blogs will tell you to go vertical when it comes to storage, but not many will tell you to invest in a step ladder. What’s the point in storing vertically if you can’t reach items easily. We bought ours at Japan Home Centre. It’s cheap and the slimmest we have seen around! 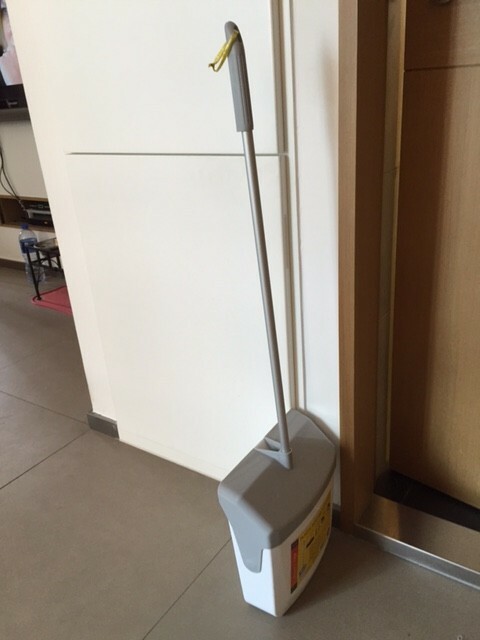 We found that good ole’ fashion sweeping is pretty quick and dependable when keeping dust at bay on a daily basis. 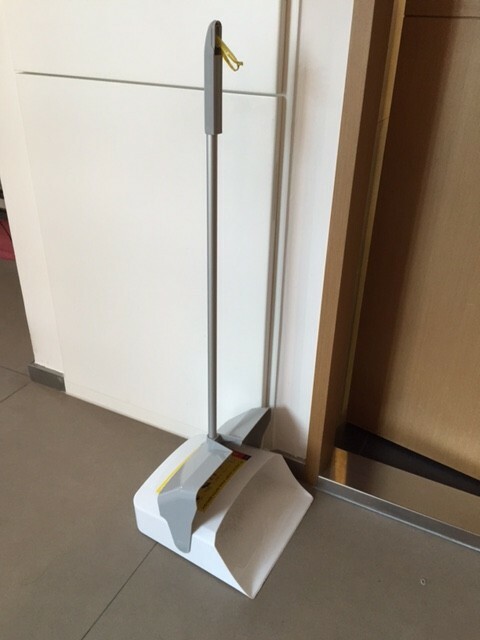 Brooms in and on its own are flat and easy to store, but man…is it hard to find their companion – the dustpan, that can fold up into a thin profile! We’ve looked in many places big and small and finally found one in Aeon! Guess what? It was the last one too! We are absolute fans of cardboard and think it is an underrated material. 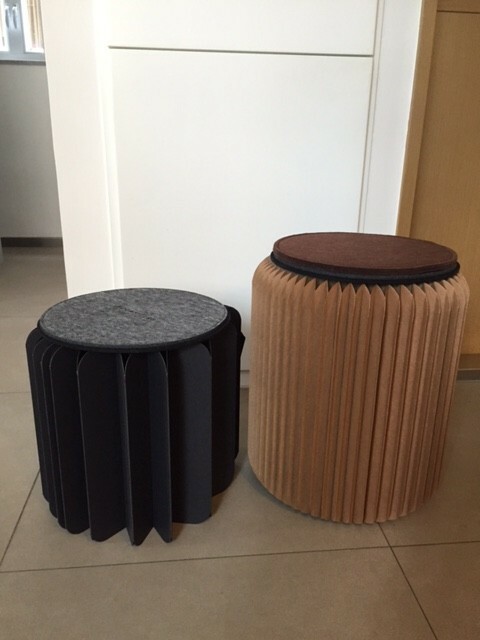 The Bookniture was a Kickstarter funded item that was designed by a very own Hong Konger. Alternatively there is another version in the market we found on Groupon that looks similar (keep an eye out). 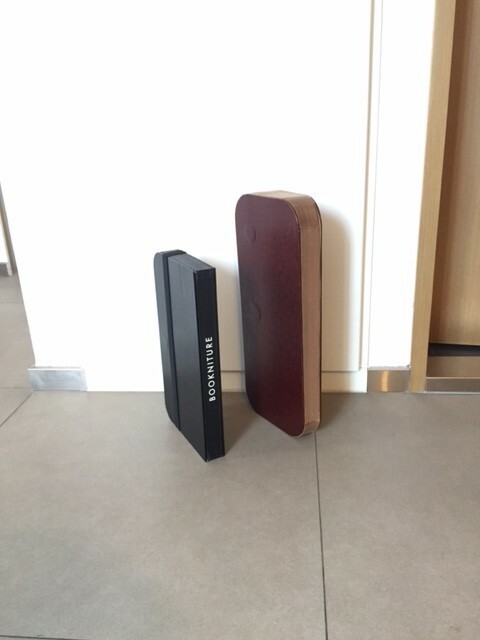 We got both and are happy with them due to the easy storage capability and multi-function potential. 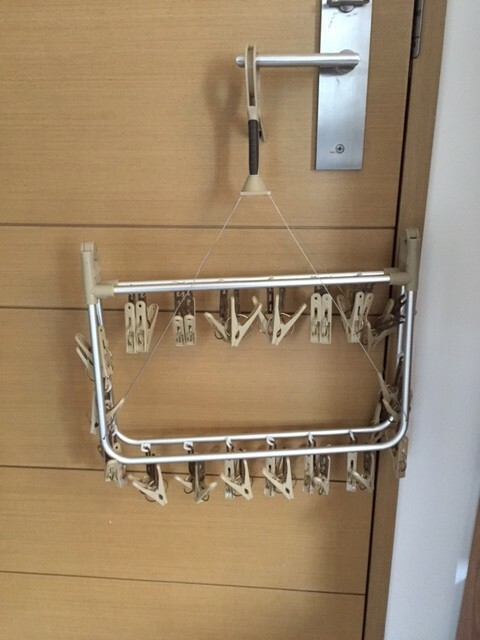 We did a post about hang drying clothes in Hong Kong and we said if you are going to do laundry then best have some kind of drying rack that can fold. 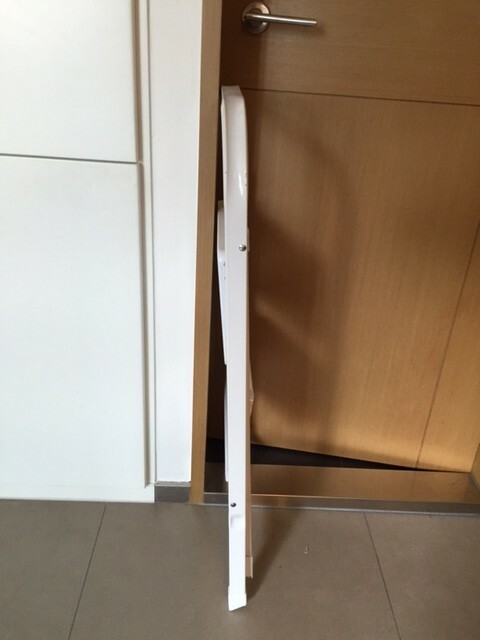 We got this one from Muji, as it looks minimal and clean. By all means, any version is fine, but we prefer a more muted toned down look. Everyone pretty much has these in Hong Kong because they are compact and environmentally friendly. And honestly every time you go shopping, you get loads of plastic bags and then what happens? Your cupboard space is taken up by all those bags! 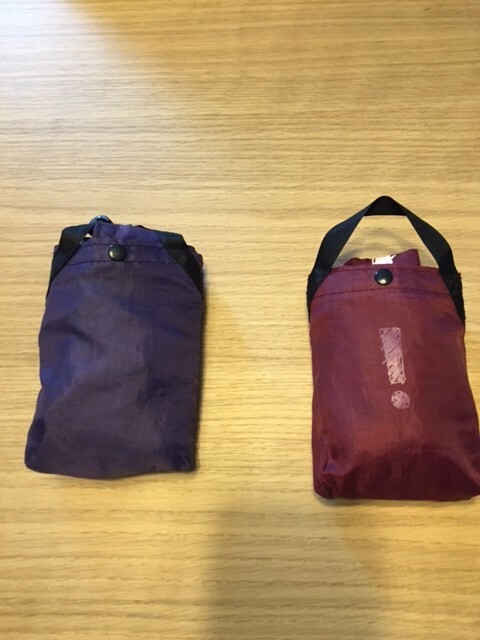 So get a couple of these foldable options as they are very, very necessary! 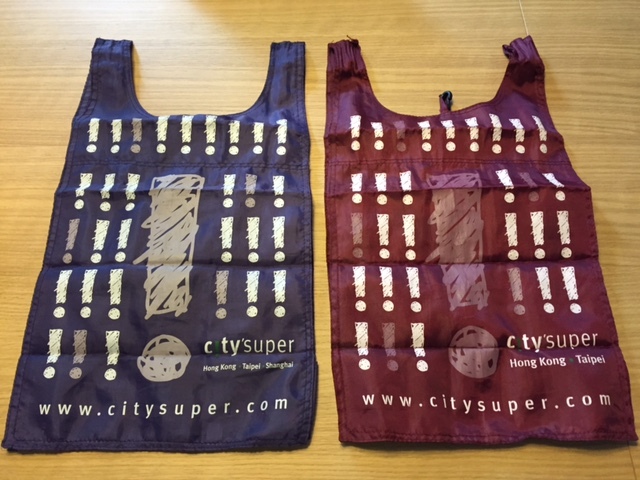 City Super and many other supermarkets sell these. Purchase enough groceries and some places might give you one for free!